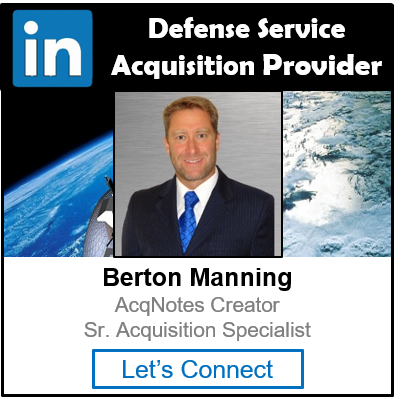 The acquisition process revolves around the development and operations of good and services for the Department of Defense (DoD). At the core of the acquisition process are the civilian businesses that provide these goods and services. In order for any business to do business with the DoD they must understand and comply with many rules and regulations. These rules and regulations have been put into place to make sure there is fair competition for these goods and services in the marketplace and to protect the DoD from obtaining good and services that don’t meet their needs. General Services Administration (GSA): This is where the government can go and buy pre-established good and services. There are other topics that businesses should understand in doing business with the DoD.